SOLD!!! 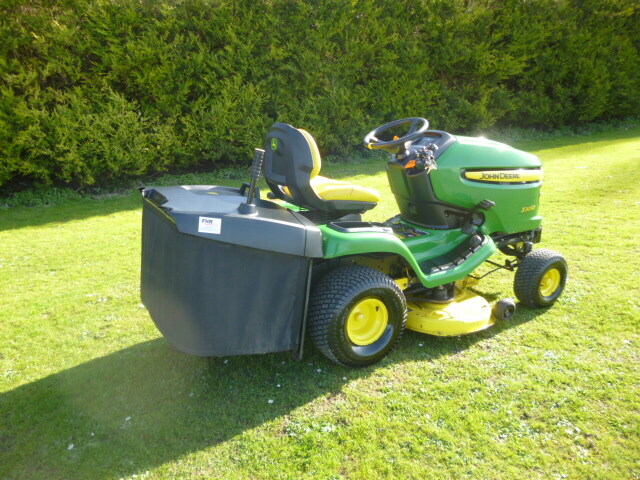 JOHN DEERE X305R LAWN TRACTOR FAN COLLECTO SOLD! Brief Description: YEAR 2011. HOURS 365. 42" MID MOUNT CUTTING DECK WITH FAN COLLECTOR. 2 CYLINDER KAWASAKI PETROL ENGINE. 2WD. MULCHING BLADES. 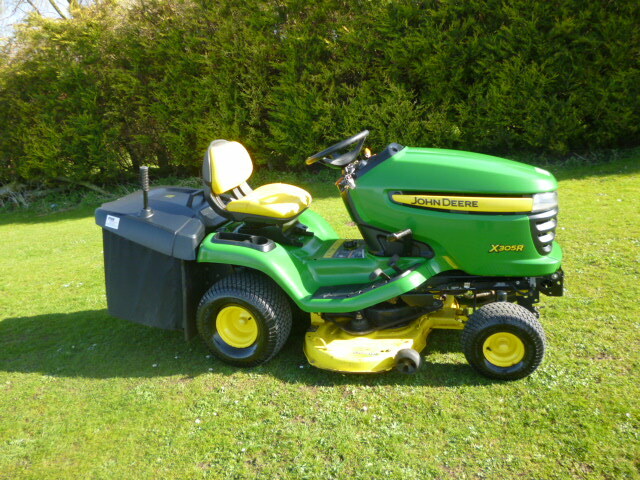 More Information: The X305R lawn tractor is part of the Select Series range. 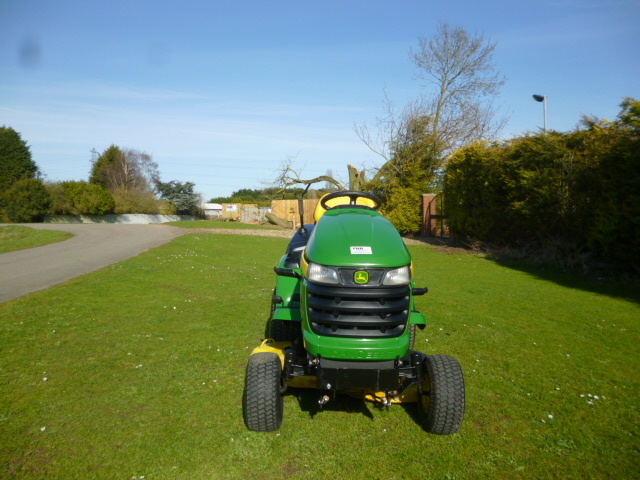 It is the perfect answer for precision mowing of formal lawns, thanks to the TurboStar system. 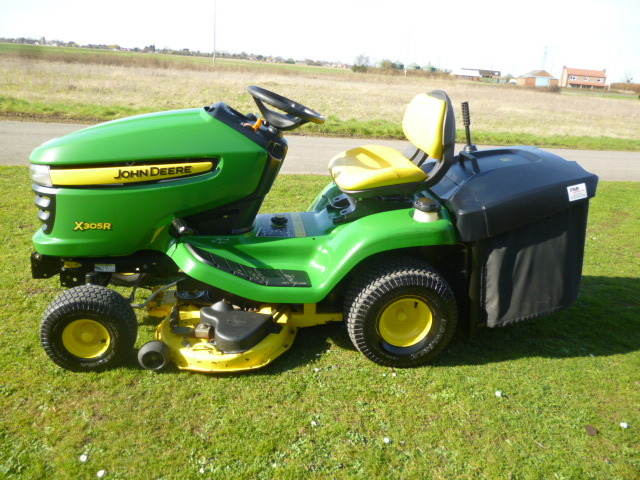 The integrated fan lifts the grass and propels the clippings into the collector. When the collector is full, the deck automatically switches off to avoid becoming blocked. The Twin Touch pedal control lets you smoothly and effortlessly change speed and direction. So if you are looking for an easier way to get around everything in your garden, look no further.